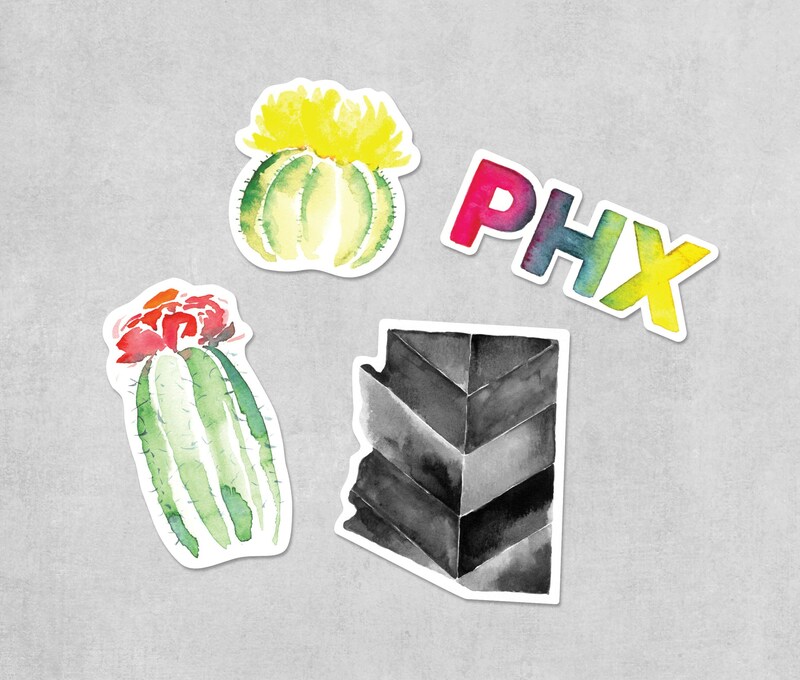 Build your own set of 4 stickers from our catalog of sticker cacti and Arizona-themed designs! Stick these colorful stickers anywhere you want to add a little taste of Arizona! Each sticker is based on an original watercolor painting that has been digitized and made into a vibrant sticker. TO BUILD YOUR OWN STICKER SET: Please specify which 4 sticker designs you would like in the message field at checkout. Orders without specifications will receive a surprise mix of four different designs.